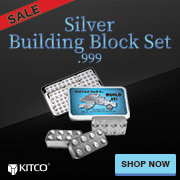 Purchase a box of 10 coin holders to protect your bullion and collectible coins. Protective acrylic coin holders can store, safeguard, and help you proudly display coins. Measuring 17 mm by its inner dimensions, these acrylic round coin holders produced by Leuchtturm will not damage your coins. They are inert, acid free, softener free, and safe for long term storage. Use these plastic coin holders to store 17 mm diameter coins like 1/10 oz American Gold Eagle Coins.